Getting your personal online report is a great start. I look forward to discussing the information with you very soon! The BALOG will be in touch with you very soon. See how your home compares to other homes in Hovley, and find out what you can do to increase its worth. Get your personalized home report, and learn what people are looking for in a home. Find what my property is worth! The Hovley area has had the average sale price increase by 6.7% over the last 12 months. Take a look at the details below! Hovley market rose in home sales by 5% this year with 21 homes sold. Increase in average sales and the low inventory count makes this a seller's market. State Law requires verification of your email address in order to access past sales. Don't worry, you're only a minute away from seeing the sales data you're looking for. Hovley has seen a lot of movement of 3 bedroom homes in the past 12 months. worth to your Hovley home! The BALOG Group specializes in high-end luxury homes, residential communities in all price ranges and new home project sales with experienced Business Partners to counsel Sellers and Buyers in all real estate needs in Coachella Valley. As a member of several home marketing network and trade organizations, our team provides a wealth of information and technical real estate experience. For Sellers, The BALOG Group offers more than a For Sale sign on the front lawn and local MLS exposure! Our expertise is the Coachella Valley where we provide exposure of our locallistingsbeyond localMLS borders including 13 MLS boards in Los Angeles, Orange County, 2 global MLS networks divulgingour listings to a broader public base in 19 languages in over 80 countries with weekly accountability reports to our Sellers. For Buyers, The BALOG Group focuses on spending an abundant amount of time with Buyer providing meaningful information, locating the right home, negotiating an acceptable agreement, overcome obstacles and recommend professional vendors; lender, attorney, home inspection, movers and more from our level of experience and accountability to each Buyer. The Group principal obtained his real estate license 1968, Broker license in western Canada1975, Broker Associate in the Coachella Valley 1999. 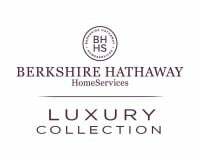 The Balog Group with Berkshire Hathaway HomeServices- Luxury Collection has been committed to providing real estate services to buyers and sellers with an outstanding in-house support staff including a professional Business Partners, Office Administrator, Transaction Coordinator, Marketing and Advertising Coordinator, Client Care Services Coordinator all with a focus to exceed client expectations. Our Mission is to represent Sellers and Buyers in the disposition and acquisition of real estate locally, nationally and internationally by offering superior service to maximize Seller and Buyer success while upholding Group integrity and success to become the real estate consultants of choice. Brand Awareness, Vendor and Client Relationships are paramount to build long-term, mutually rewarding relationships based on integrity and trust. FARM GENIE - Powered by: 1parkplace, Inc.